Site speed remains a perennial concern for pretty much all site owners. While there are several ways you can improve your site’s speed, there’s one often-overlooked (yet highly effective) technique to consider – minification. In simple terms, minification optimizes your site’s code to make it smaller in size and more efficient to run. While this can seem like a small concern, it’s actually surprisingly effective. In this article, I’ll introduce you to the concept of minification and how it works. I’ll also show you several ways you can utilize this method yourself, even without having to touch the code. Let’s get started! This blog has discussed the importance of keeping your site fast several times previously. Because of this, you’re probably already aware of several ways you can optimize your site speed. Today, I’m going to discuss another method. You see, one of the potential reasons behind long load times is inefficiently-written code. Most site owners rarely (if ever) need to code anything nowadays, so you might not even be able to tell if your code is causing your site to get sluggish. However, by using a process known as minification, you can disregard it. Even having a passing familiarity with CSS, this is pretty easy to decipher. It simply specifies which style should be assigned to different elements on a page. This is because the code is written to be readable to a human eye. To this end, line breaks and extra spaces are used to make each part of the code clearly defined and easier to scan. However, this isn’t actually something a computer needs to understand and run the code. In fact, the additional characters make the code ‘heavier,’ and therefore, it takes longer for a computer to read and execute. You can therefore think of minification as the process that turns human-friendly code into machine-friendly code. This code actually comprises the exact same functionality as the one above, but with all the unnecessary parts taken out. While it might not seem like a major difference, the minified code is actually 36% lighter than the original. If you imagine this same principle applied to all code on your page, you can probably see how effective this could be in the long run. So, how do you actually do it? There are a few methods at your disposal, and I’ll be looking at them throughout this article. First, let’s see how you can minify code manually. One way you can minify code is doing it yourself. This is particularly useful if you’re writing your own code, such as when creating a theme or plugin. However, going through your code with a fine-tooth comb can be taxing, if not impossible, depending on the amount. I particularly like this tool because it provides plenty of options regarding how the code should be compressed, and it’s also Google-approved. You can use the settings on the right to tailor the final output to your liking. While minifying code manually can certainly be useful, most of the time you’ll likely want to automate the process. Next up, I’ll be looking at how you can do exactly that. By far the easiest way to implement minification is using a WordPress plugin to do the job for you. Such a plugin will automatically minify your code as soon as it’s called on. This means you can minify your code without having to look at it yourself. With this in mind, let’s look at some of the best minification plugins! If you were worried that minification would be a complex process, Autoptimize is the perfect counterpoint. This is a ‘set-and-forget’ solution that will automatically minify all your site’s scripts with no input required on your part. You simply install and activate the plugin, and it takes care of the rest. However, if you do wish to get into the technical side of things, the plugin also offers several advanced configuration options. Simple to use, with no configuration required. Automatically minifies and compresses all scripts on your site. Moves all styles to the site header for optimal performance. Pricing: The plugin is free and Autoptimize also offers a premium tier, starting at €119, or roughly $138. Minifies script files to reduce the number of HTTP requests. Offers plug-and-play functionality with the default settings. Merges and optimizes Google Fonts. Pricing: The plugin is entirely free, with no premium plan required. Merge + Minify + Refresh is yet another minification plugin that begins working out of the box. While its features are largely similar to Autoptimize, it’s a particularly lightweight alternative. Due to the way the minification process works, the plugin provides minimal slowdown, and doesn’t require you to manually clear your cache (unlike other solutions). Minifies and combines your script files automatically. Uses wp-cron to minimize slowdown during minification. Compatible with WordPress Multisite setups. Pricing: Merge + Minify + Refresh is free to download and use, with no premium plan available. When it comes to optimizing your site, it’s important to use all methods at your disposal. One of these is minification, which enables you to compress your code to make it more efficient without affecting its functionality. Autoptimize. Powerful yet simple, with additional settings for experienced users. Fast Velocity Minify. A solid option that’s great for both beginners and developers. Merge + Minify + Refresh. Fast and reliable, which helps to ensure good performance at all times. Do you have any questions about using minification to speed up your site? Let me know in the comments section below! 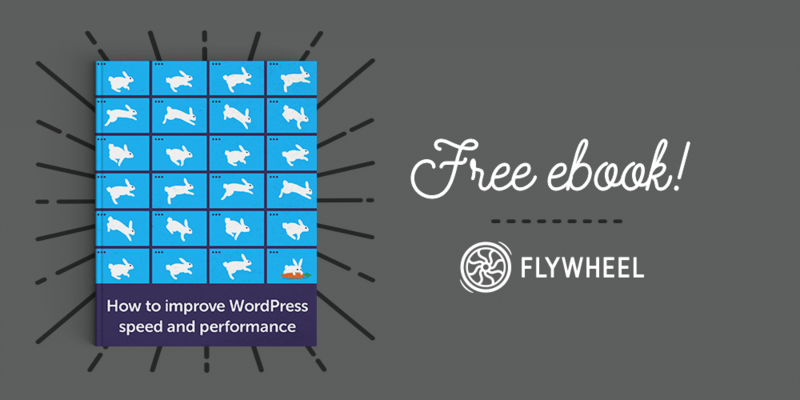 Take your site performance to the next level with our free guide!